(NEW) CBC TV Chop-Sticks from the Beijing Olympics August 8. 2008 (8.8.08). The 2 sets of chop-sticks are a collectors item for Olympic memorabilia. 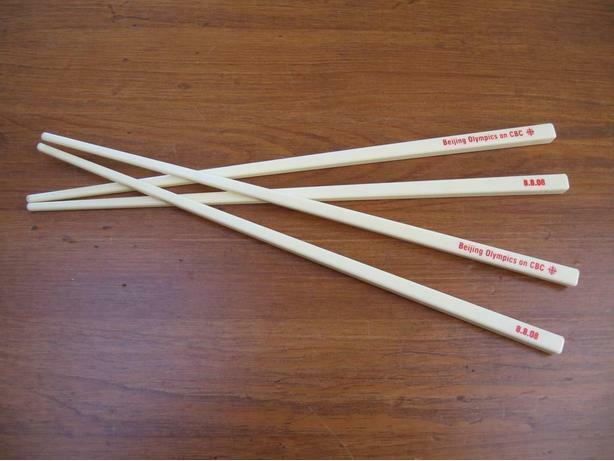 Chop-sticks are made of resin to look like ivory. The Beijing Olympics were 8 years ago.